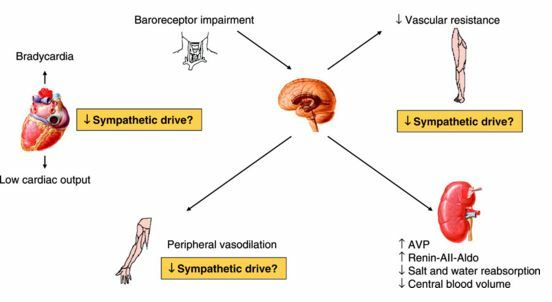 1 What is vasovagal syncope? In Vasovagal syncope, fainting is a common symptom that occurs due to extreme stimulation in the vagus nerve and leads to the dilation of the blood vessels and reduction of the heart function. The cardiac output is decreased as heart is unable to pump out sufficient amount of blood and causes less supply of the blood towards the brain. Brain function also decreases and body balancing against the gravitational force is affected and patient fall down. This incidence first reported in Victorian, England. This is not a serious health issue as blood circulation is quickly normalised within few seconds. Sometimes fainting and falling down can follow serious harm, which may lead to fracture or any other accidental events, especially in case of elderly person or kids. Vision is restricted in a point or feeling of sudden shake inside the body. These symptoms arises before falling down or fainting some and in case of changing posture from standing to sitting or quietly lie down and holding the legs against the gravity, then the incidence may be reversed. 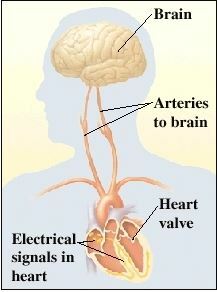 Both these conditions cause insufficient blood circulation in the brain which leads to momentary unconsciousness. Cardiac arrhythmia may be tachycardic or bradicardic. In case someone has tachycardia (increased hear beat), they are more predominant for vasovagal syncope rather than those are having bradicardia (decreased heart beat). 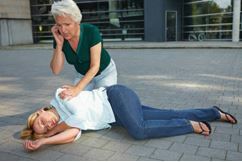 It has been noticed that individuals who have ventricular tachycardia often faces sudden fainting. Early incidence is manageable and does not become fatal. Vegas nerve is the largest cranial nerve which regulates different activities, among them one of the major functions is maintaining the blood vessel diameter which ultimately control the heart pumping. Sudden emotional shock or physiological stress or other incidence may stimulate vagus nerves and lead to dilation of the blood vessels. Then pumping rate of heart is decreased due to blood pressure that lowers down and insufficient blood in reached in brain and fainting occurs as a reflex action. One of the underlying causes for vasovagal syncope is heart abnormality, so following diagnosis is important. Heart beat is regulated by the electronic signal which can be recorded by ECG. Abnormality of heart beat or cardiac arrhythmia is detected by ECG. Holter test can record heat rate for twenty four hours. This helps to identify vasovagal syncope. Echocardoigram gives images of heart and help to identify the valve problem which is one of the reasons for vasovagal syncope. Tradmill mainly detect heart rhythm during exercise and help to identify exercise stress in heart. Blood test for haemoglobin estimation helps to detect anaemia which also a possible cause for vasovagal syncope. This test helps to analyze how blood pressure gets altered with the posture. In this test patient has to lie down in a table and attach a belt to prevent the falling and then horizontally tilt the table. In frequent intervals, blood pressure is monitored with every change of posture. Keep hydrated, take lots of water or other fluid which help to prevent the frequent incidence. Increase salt intake because one of the major finding for vasovagal syncope is low salt intake. Wearing of compressed stoking can help to lessen the frequency of incidence as it restricts blood circulation in leg. Doctors also put emphasis on foot exercise and provide training which also prevents the frequency. If the following measures does not works and fainting incidence is frequent due to vasovagal syncope, then doctors may recommend the below treatments. Midodrine is a drug available for hypotension treatment. This medication can improve the condition if vasovagal syncope arises due to low blood pressure. If the incidence is due to cardiac arrhythmia, insertion of pacemaker by surgical procedure can improve completely.